Function. Style. The two go hand-in-hand when it comes to the look of your kitchen and bathrooms, so you want your faucet to be useful while looking good. 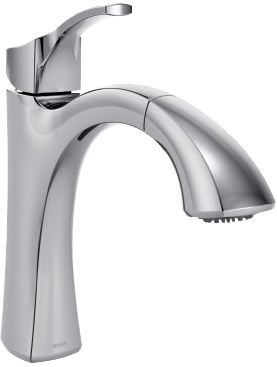 Moen faucets bring timeless style to your kitchen or bathroom while providing long-lasting service. With designs that range from modern to traditional, we’re sure to be able to offer a style that fits your home’s personality with high-quality parts and equipment. 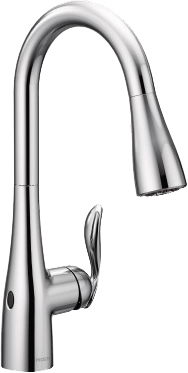 With M•PACT®, you can change your faucet style without replacing any plumbing. It’s as easy as changing a light bulb. Spot Resist™ Finish maintains the brilliance of your faucet so that you can spend less time cleaning and more time enjoying your home. 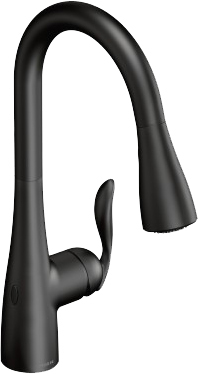 Touchless Kitchen Faucets with MotionSense™ feature touchless activation, allowing you to easily turn water on and off with the wave of a hand. Click here to see more options from Moen to see which style fits your home best.